The Farnborough International Air Show is a huge event with over 1500 exhibitors from around the world and over 100,000 public visitors are expected to flock to this iconic Hampshire-based display. The event draws the best aerospace companies from around the world and sees high profile displays from the Red Arrows and World War 2 veteran planes alike. 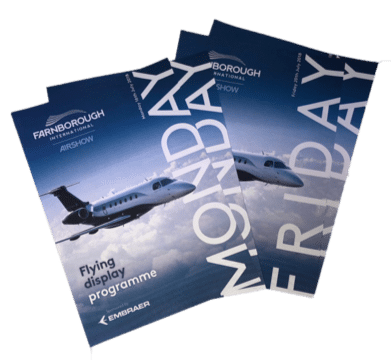 Having supported the air show for all of their printed requirements, we were pleased to be able to accept their recent challenge of providing up-to-the-minute daily flying programmes. 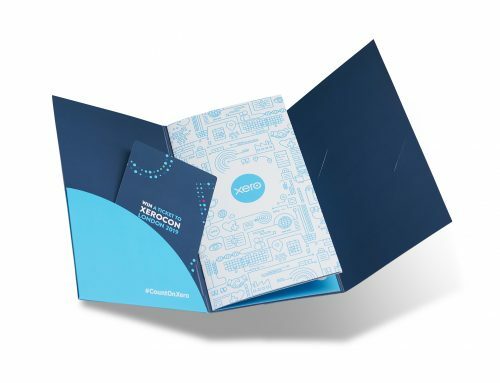 This consists of producing a 4-page, A5, 4 colour document on 100gsm silk paper with base sheets printed (1 side only,) a week before the air show. These will then be overprinted during the airshow week itself, on a daily basis. This 30,000 a day project is set to be an exciting challenge for A3, but one we are prepared for. Weather watching. Our team will be on hand to receive updates from the airshow team regarding any weather challenges which would affect the show on the following day; this could include cloud cover preventing the displays from being seen, excess wind or changes to flight times. 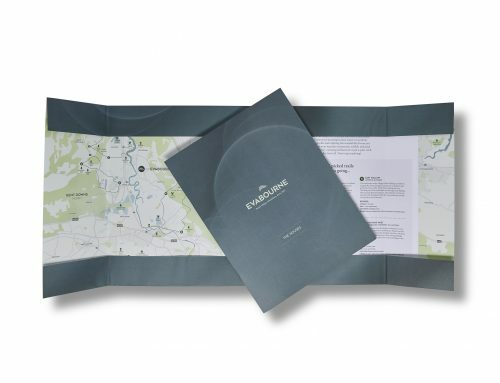 This 24 hour a day production operation means that the artwork will be received at 5pm, with our studio being on standby to have the programmes proofed and print ready. 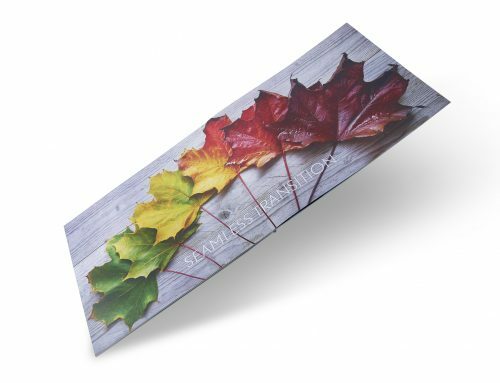 Our experienced Litho Press team will then print the leaflets and leave them to dry. More of the A3 team will then be on hand to trim, fold and pack them ready for transportation to Farnborough. 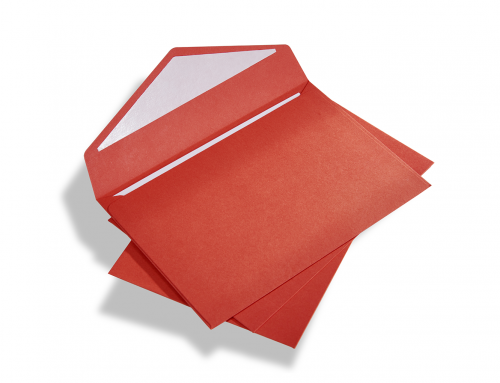 All of our dedicated staff will be working through the night to ensure this quick turnaround goes without a hitch. There are many variables involved with this project, many people, systems and machines; but we’re confident all of these will run like clockwork, so delays will not be encountered at any point of the production process. Also, our very own delivery driver will deliver these programmes every morning to the Show Centre at 7.00am. Understandably, the security at this event is very tight, so we have security clearance which ensures the documents arrive on site on time. We are lucky enough to be based within 20 minutes of this fantastic event, meaning we are able to offer such a personalised service. This project has required a huge amount of logistical planning and without the hard-working team at A3, we would not be able to undertake a project of this nature. 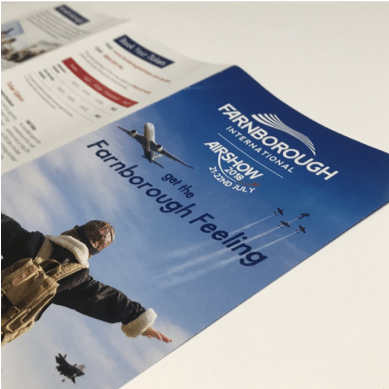 We are looking forward to seeing the programmes ‘winging’ their way to the Farnborough Air Show during this challenging and exciting project and hope the weather provides a clear and fantastic view of all the stunning aircrafts on display. 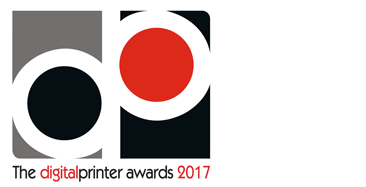 If you would like to discuss A3 working on your next printing project, please do not hesitate to contact us.